Mobile Payments have emerged as a catalyst for transactions across all markets. In underdeveloped markets, mobile payment technology is enabling businesses to sell products and services to consumers that had previously been out of reach. In developed markets, it has made the process of purchasing products and services even simpler. PayPal, one of the most popular digital payment solutions on the market, facilitated $66 billion in payment volume throughout 2015, and now has 188 million active registered user accounts across the US. Furthermore, Statista projects that mobile payments will account for more than $210 billion in transactions by 2019. 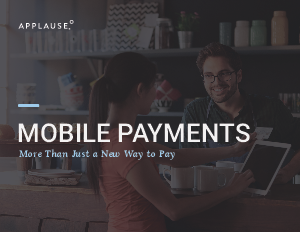 Mobile payment technology is a step forward in the process of connecting businesses to the people they are serving. However, some merchants will find themselves miles behind their competitors by the time the transition to mobile payments is complete. The reason? A failure to implement the correct mobile payment strategy. An ever-increasing number of digital wallet and mobile payment options have emerged over the past few years, and they all do the same fundamental thing. However, the popularity of each option is incredibly variable. Factors determining which mobile payments are being used can become as specific as the geographic location and demographic characteristics of the customers using them. In order to successfully implement mobile payments as a merchant, it is critical to understand all of the complexities that mobile payments create for a business, as well as how to mitigate them.